Democracy On Super8 is a participative art project, that was started 2010 by democraticArts (Margarete Hentze, Sanne Kurz, Christiane Huber) The individual view on democracy is formed by personal experience. Artists, filmmakers and other interested people are asked to film their personal opinion on democratic principles like self-determination, equality, individuality, community, freedom, responsability or justice. 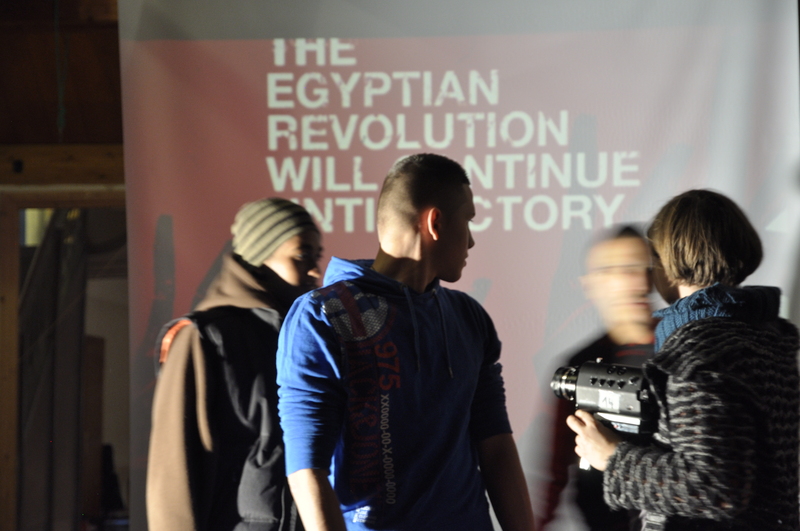 Therefore the participants choose one principle and film it with one role of Super8 material. Margarete Hentze, Sanne Kurz and Christiane Huber did workshops, in oder to introduce the subject artistically and technically. The workshops took place e.g. at the documentary filmfest in Munich, the SchlaU School, etc. in Mai 2012 they did an installation at the documentary film festival Dok.Fest Munich. The financial partners of the Democracy on Super8 you find here.